Crowns or Fillings: Which is The Better Choice? A lot of people are faced with the decision: crowns or fillings? They’re both treatments for teeth that have suffered decay and/or trauma, but it’s the severity of the decay that will determine whether a filling or a crown will be needed. Fillings are the most common treatment for tooth decay, especially in teeth that only have a small amount of decay. For patients who go in to see their dentist regularly, they have a better chance of catching the decay early on, in which case a filling can easily be used to stop the decay. When a filling is applied, the decayed tooth matter needs to be removed first, then a material (usually a tooth-colored composite) is used to fill in the space and then smoothed over. Dentists have differing opinions on which filling substance is better, although many patients prefer the tooth-colored composite because it helps their teeth maintain a natural appearance. Fillings can also be used on teeth that have suffered wear, such as in patients that have a tendency to grind their teeth in their sleep. There are many options of materials for crowns. Dr. Oller prefers a Zirconia crown, which is tooth colored and stronger than porcelain fused to metal crowns, which is the way it used to be done. While putting in a filling is a relatively minor procedure that doesn’t take very long, putting on a crown is a more serious procedure, requiring two visits to your dentist to complete, which is why dentists usually only choose to go that route when the damage to the tooth is severe. Crowns are used when a tooth has been significantly weakened as a result of decay. 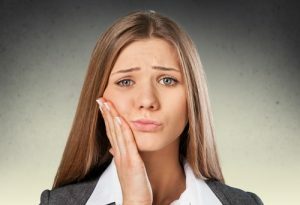 If a tooth has suffered too much decay, it may not be able to support a filling, in which case it will need to be covered with a crown, which can provide strength and stability to the compromised tooth. Root canals also tend to weaken teeth and a crown may be placed over a tooth that has had a root canal to provide the tooth with the strength and stability it needs to withstand chewing. Teeth that have been cracked or broken are also often covered with crowns in order to avoid extracting the tooth. In this case, the crown preserves as much of the tooth structure as possible. Depending on your dentist and their preferred method for dealing with damaged teeth, they may put filling in the tooth, then cement the crown over the tooth to provide the additional stability needed to keep the tooth strong and in place. Crowns tend to be more expensive than fillings, but they also tend to last longer. Just because you’ve had a filling to treat a cavity doesn’t mean you’ll never have to worry about that tooth again. Instead, your dentist will likely keep an eye on it and retouch it every now and then as the filling starts to wear and erode. Of course, you’re the patient, it’s your mouth, and the choice is yours. If you’d prefer to have a crown to treat all your cavities, that’s your right. Just be advised it will take longer, cost more, and it’s not fool proof. Crowns can crack, too, and then you’ll be back in our office.